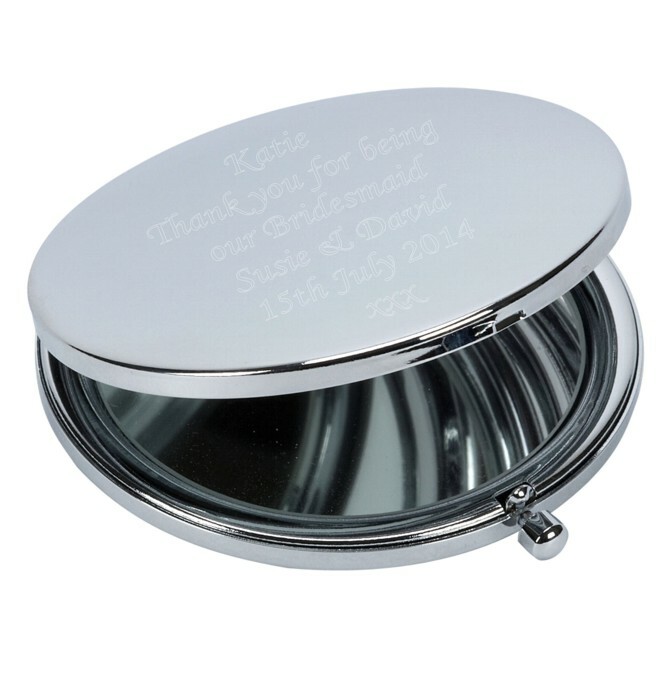 A beautiful personalised engraved silver plated round compact mirror. Personalised to your exact requirements. This amazing compact mirror measures 60mm across the top and 13mm in depth. Comes in its own individual black gift box. Ideal from Bridesmaids, Mother of the Bride/Groom, Wedding Gifts, Mother's Day, Valentine's Day, Christmas...it's endless!